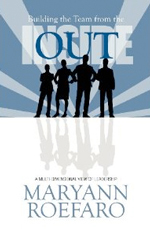 With over 25 years of executive leadership experience, Maryann has provided organizational development, leadership coaching and consulting services to individuals and corporations for many years. In addition to assisting organizations in the development of accountable, intuitive organizations, Maryann has a profound understanding of finance and business and has maintained responsibility for multi-million dollar corporations throughout her career. Her leadership skills and operational expertise, coupled with her acute understanding of the human psyche and the development of self makes her a unique asset to any organization. Through dedication and commitment to her own self-mastery journey, both in her work and personal life, Maryann can uniquely effect and provide guidance in your self-discovery. She can assist you with your personal journey by providing spiritual mentoring opportunities for those struggling to find meaning within their personal and professional lives. The cost of these services is dependent upon the scope of service. Please contact Maryann for details.